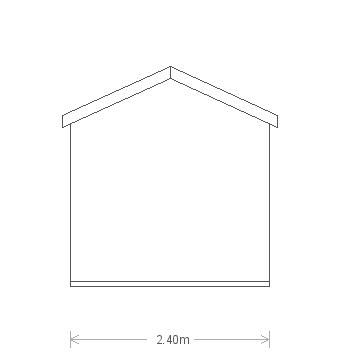 Our Blakeney Summerhouse is from our attractive range of FSC® certified timber Summerhouses and boasts a chalet-style appeal with a small overhang on the apex roof and double opening doors that lead into the interior. 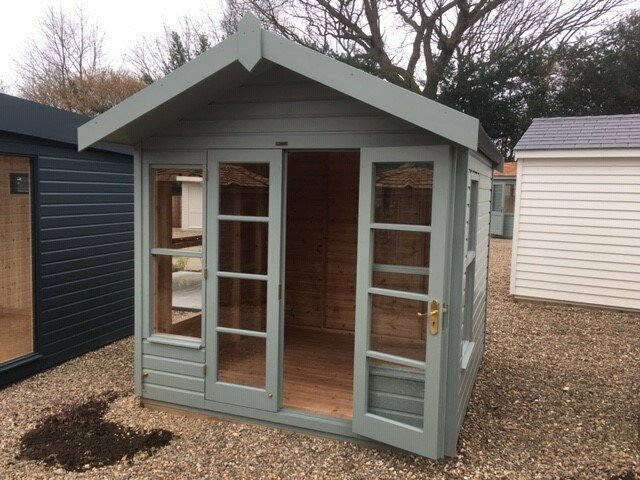 The Summerhouse boasts shiplap cladding and is painted in the shade of Sage, which is a gentle and beautiful colour that merges perfectly in any garden. 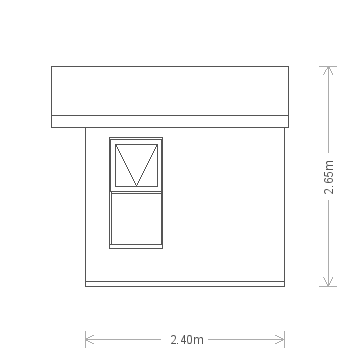 In order to take a better look at the building, you can visit us at our Cranleigh show site where it is currently on display. 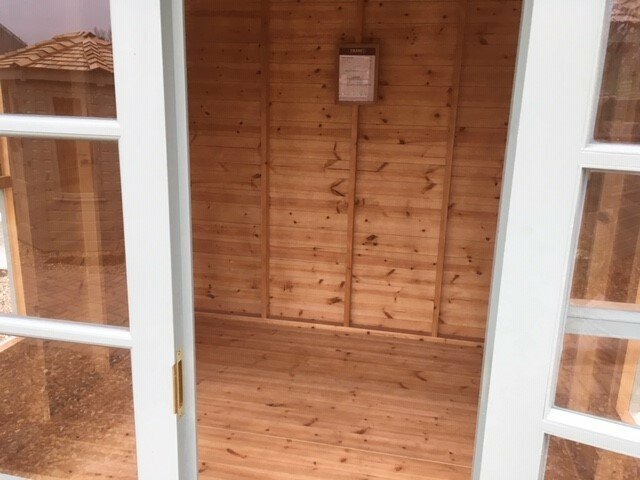 This charming Blakeney Summerhouse was recently installed for a customer based in Plumtree, Nottinghamshire. 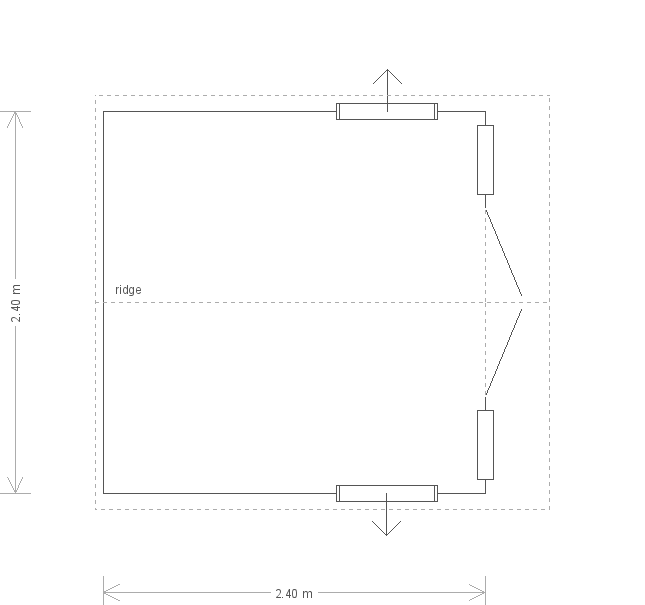 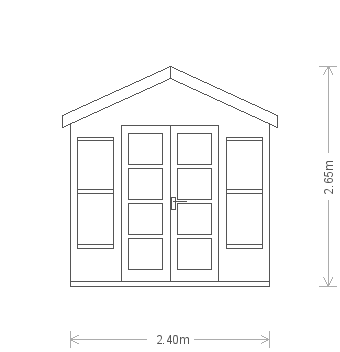 Measuring 2.4 x 3.0m and boasting 4 windows, it’s the ideal sun-drenched hideaway to have at the bottom of your garden. 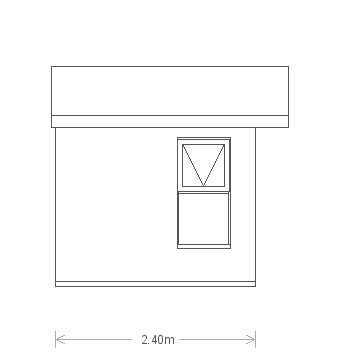 1 of the double-glazed windows opens to allow for adequate ventilation, and polished chrome door furniture gives it a contemporary look.